Although we don’t tend to think of Socrates as a shredded bodybuilder, the quote above has resonated with a lot of people over the millennia. Physical fitness is important for everybody in this world, and in an age where screens and technology are overtaking our lives, it’s prudent to seek out activities and hobbies that can keep us fit. This couldn’t be more true than with children. They are more at risk than anyone of developing screen addiction, so by introducing them to physically demanding activities early on, you can help them to create a lifelong habit. 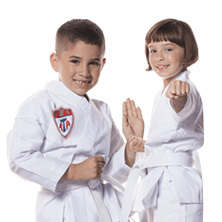 Kids karate and taekwondo can be a great way for them to stay fit! Natural Strength Training: There are many schools of thought which suggest that younger children shouldn’t engage in bodybuilding activities like weightlifting because their bodies aren’t ready for that kind of conditioning. 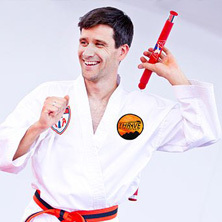 But taekwondo can build a lot of muscular activity just from natural movements. Strength is required to break boards, and it will be naturally built as students practice tight, controlled movements. Traditional Conditioning: While there is certainly a natural workout that comes from practicing karate moves, we also have our students undergo traditional conditioning from time to time. Kids may do pushups, situps, jumping jacks, and more as part of regular, routine exercises to keep their hearts pumping. Flexibility and Muscle Control: If your child has a flexibility problem, it won’t last for long when they’re taking martial arts. 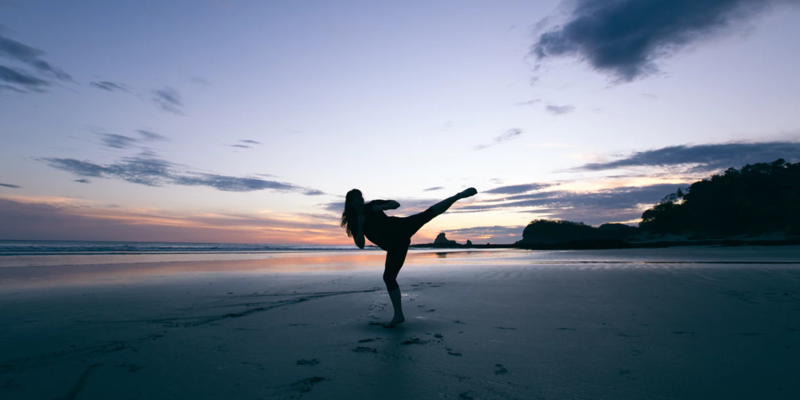 Not only do we practice stretching in our kids karate classes, their muscles also naturally become more flexible when they’re performing punches and kicks in good form. Most students likely won’t be able to pull off a proper front kick in the beginning because they won’t have the flexibility to fully extend their leg. But you can bet that will change with regular practice! Cardio Workout: Do you know how tiring it is to do a sparring session in full equipment? The answer is, “a lot more than it looks.” After students have put in a mouthguard, soft helmet, chestguard, and rubber gloves, they’ll be sweating up a storm as they deftly move around the floor, trying to get a hit on their opponent. This, and many other aspects of martial arts can be exceedingly tiring, resulting in a heart-pumping workout. While martial arts isn’t the most physically demanding pastime your kid can adopt, it definitely provides more than enough physical condition to be a boon to them in the long run. By having hobbies that get them moving , they could very well get their body used to regular conditioning and find themselves missing it if they go without it for too long. For that reason and many others, martial arts can be a great choice for them. 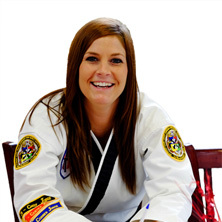 Do you want to see if kids karate is right for your child? We offer trial memberships which allow you to demo our program! 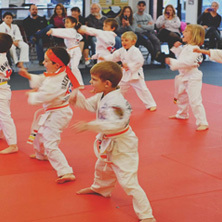 With three different programs available that cater to different age groups, we know your kid will find something to love at Thrive Martial Arts. Feel free to stop by our Fort Collins or Windsor locations at any time, and be sure to contact us if you have any questions!